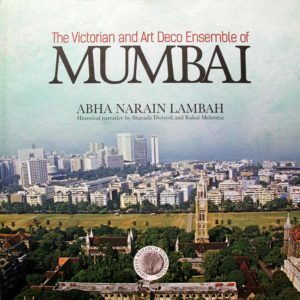 Author of the dossier that secured Mumbai’s Victorian Gothic and Art Deco Ensembles’ UNESCO inscription, Abha Narain Lambah in conversation with Atul Kumar on her inspiring journey as a leading conservation architect. 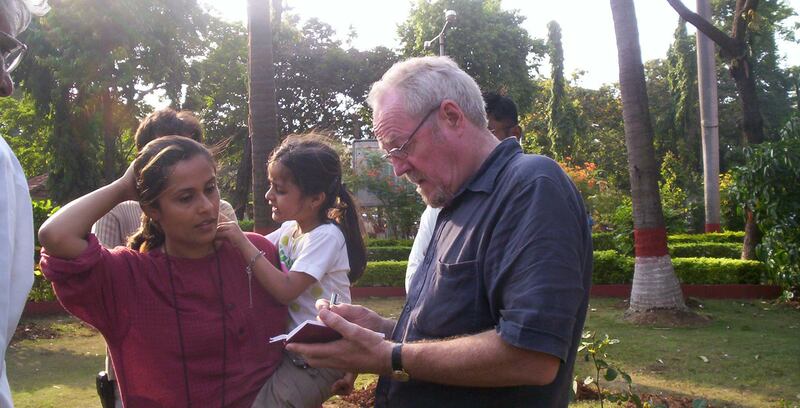 In this part, discover Abha’s journey to Mumbai and her role in the latest UNESCO inscription. Bombay: a city that became your home at a much later stage in life. Tell us about your life before you moved to Bombay and the events that brought you to this city? How did you go from being an ‘outsider’ to one of the most passionate defenders of Mumbai’s heritage, and who all played a pivotal role in this journey of yours? Abha: I studied Architecture at the School of Planning and Architecture in Delhi, and, after that, I did my Masters also in Delhi. Halfway through my Masters, I got married, and I came to Bombay. I was still due to write my thesis, and I got married. My husband and I decided that he would move from New York and I would move from Delhi, and we would settle in Bombay. And, we never moved out! So, that’s what I love about Bombay. They don’t care who you are related to. I mean, I never faced gender discrimination, or on any other trait for that matter. 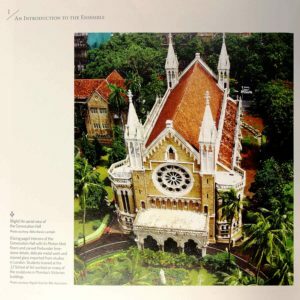 I was only judged on the merit of my work, and I think that’s the most refreshing and the greatest thing about Bombay! It accepts you for how you are, what you do, and how hard you work. That’s why I would not live in any other city! I have so many people to thank for through this journey. I remember I was eating a seafood meal for lunch with my husband at Mahesh Lunch Home. On the table next to me, I noticed a gentleman who was animatedly talking about the history of Bombay to two British people who were probably from the High Commission. I randomly picked up, and I listened because it was such an interesting bit of Bombay’s history. Then, I went for a job interview as an architect, and it turned out to be Rahul Mehrotra. 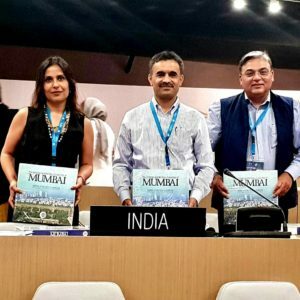 I worked with Rahul as a consultant, and helped set up the Bombay Collaborative. 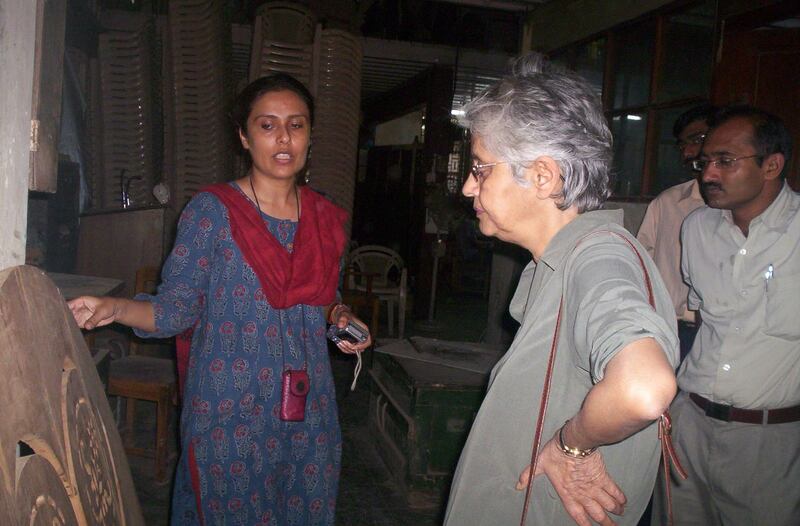 I got involved because the Bombay Collaborative did not have a qualified Conservation Architect, and I brought that. And then, I met Sharada Dwivedi. I think she was sort of my greatest mentor/friend/critic. Even now, I miss my morning phone calls with Sharada. We would begin with really exciting news, and then vent our frustration about babus who did not care about this city. She co-wrote the first tentative document, the rough draft that we first submitted to put Bombay on the tentative map. I still remember calling her from Delhi when it got approved, and saying, “Sharada, our tentative dossier is going through.” She had a sore throat that day, and she said, “Okay, come over when you are back.” And she passed away the very next day. So, I miss her the most through this journey as she gave off so much of her own knowledge and archival research to me on this project. We both really fought for this project. 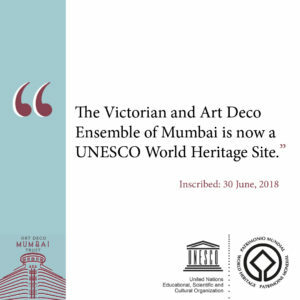 Let’s get to the elephant in the room, the UNESCO inscription of “Victorian Gothic and Art Deco Ensembles of Mumbai”! What’s this journey been like? You seem to have singlehandedly pushed the entire establishment to achieve this mammoth task. People would often give up after a day, and, at the end of the day, you are one individual. What kept you resolute and firm? What was in it for you? Abha: You have to ultimately believe that something you are doing is worthwhile, and worth fighting for. Sometimes the cause has to be compelling enough, and, if the cause is compelling enough, you don’t mind hanging in there for the long haul. For me, I knew that this was the one cause that was compelling enough for two reasons. One, if we weren’t able to save the Victorian Gothic and Art Deco precinct, there would be serious damage to its integrity. We had managed to save it so far. With the kind of pressures and threats, we were going to lose it very soon. And the second thing is that, as a practitioner and an architect, I get really disappointed and frustrated at this monument centric approach that we have always had as a nation. Plus, this chronology based approach where only when something is ancient or medieval should merit respect. Colonial buildings are not good enough, and Art Deco is certainly not historic enough to be saved. I think that was my personal and intellectual need to prove that even this is very precious. The world community thinks this is precious. And just because we have these really limited Victorian mind-sets, we are not going to let this go. Thirdly, if we didn’t do it, the damage will be far greater because it was not kind of an archaeological monument where there would be a freeze. "... as a practitioner and an architect, I get really disappointed and frustrated at this monument centric approach that we have always had as a nation." The city and the entire nation is celebrating the inscription. However, few individuals are actually aware of the sheer amount of work invested in creating that impeccable dossier. It involved archival research, individual surveys, compilation, and intense writing. The quality of input and the attention to detail is simply impressive. Can you give readers an appreciation of how much time and effort went into this from you and your team? Who all supported you in this endeavour? Abha: Actually, being on this idea for 14 years also helped as I took these photos over these 14 years. It was not that I was only doing photography for a month or two months. Similarly, I had actually worked on many of those buildings. I had got intimate knowledge of those buildings, and had drawings of those. This helped up the quality. Had we been sort of commissioned by the government to prepare a nomination dossier for the same area and had we got a year or six months to do it, we would have not been able to come up with such a large compendium of detailed drawings. We would have just given less than 15 days per building and quickly come up with something. And that’s what often happens with nomination dossiers. Here, we had not only worked on these building drawings, but we had actually worked on those buildings. Naturally, our drawings were of much superior quality because these were working drawings which then became documentation drawings. In worst cases, you just document buildings for a dossier, and don’t get into that level of detail. So, that was an advantage. Those 14 years were an advantage for sure as a lot of this information was just there to be used and put together. Secondly, I think it couldn’t have happened without Sharada Dwivedi not sharing her entire archival research, and putting it at my disposal. I mean, I owe such a huge debt to Sharada for this because the entire chapter 2B which is the history section was entirely her baby. Obviously, that itself is such a vast and deep compendium of historical archives of Bombay that you could not possibly find fault in something like that. Thirdly, Neha Parulekar, for example, in my team who joined as a young architect fresh out of college who has now worked on this project for four years. We were all driven by this fact that we really have to give a quality piece because we won’t get the kind of government push that normally like a Delhi or an Archaeological Survey of India or like a Ministry of Culture supported project would get. So, we didn’t want to take chances. The documentation of the Deco buildings was done from scratch, and was done entirely for the dossier. What we had to do was fill a detailed inventory for every building. A lot of those inventories had to be done from scratch, or we had to add a lot of information. In fact for a lot of the Deco inventories, Nayana Kathpalia just went through them as a resident to see if there were errors that she could point out. I think at every point we were just double checking to make sure that there were no errors. I think that shows not just in my team. When the Japanese mission came or the ICOMOS expert came, you spent so much time taking him around. You could have just met him once. You didn’t have to spend that much time volunteering to take him to every place. Rashid Wadia didn’t have to spend half a day talking to him about the financial history of the city. I remember I had written my first (okay not the first but maybe the 10th draft) on OUV which is the statement on outstanding universal value. We all had lunch thanks to Cyrus Guzder taking us out for a very good Japanese lunch. Then, we all had a whole day session with Cyrus Guzder, Rahul Mehrotra, Shirin Bharucha, Nayana Kathpalia, and myself, along with Richard Engelhardt. We were trying to do kind of a charrette where I would put across a paragraph and see it from the point of view whether we could articulate it or just playing devil’s advocate to see if sounded compelling enough. We did a whole day’s worth of discussion over just one page in that dossier. So, people did give their time and effort. "I owe such a huge debt to Sharada Dwivedi for this because the entire chapter 2B which is the history section was entirely her baby. 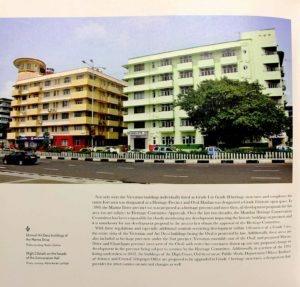 Obviously, that itself is such a vast and deep compendium of historical archives of Bombay that you could not possibly find fault in something like that." The quality of your work was self-evident. Your dossier was immensely appreciated at the 42nd session of the World Heritage Committee. You must have felt hugely validated when country after country was praising the quality of the documentation. From Australia to Tanzania, they claimed that they had not seen a dossier like this. What was going in your head at the session? How did it feel? Abha: Oh, that was amazing! It was worth those fourteen years. Before Bombay came on agenda, they were discussing other sites in Saudi Arabia and there were countries that were saying that the work is not good enough or this needs more work. That normally happens with every Indian dossier. Even people from the Central Government who I wouldn’t name, but from different ministries who have been involved with this said that this is the first time in the last 10 years or even as long as they remember that a dossier has gone through with a clear recommendation for inscription. The Government and the Ministry of External Affairs did not have to actually lobby with other countries to push this though. This is the first time that it has flown on merit. When France as an observer said that this Dossier is magnificent and Azerbaijan said that this a perfect Dossier, it was just a lot of, you know, feel good after all that effort. In fact, after the session, there were other ambassadors like the Representative from Columbia who said with this Dossier and you have opened the door for urban complexes and urban conglomerations of Art Deco in Columbia or Cuba because it is so different from the rest of the nominations. So, I hope this will make cities look at heritage differently. "... there were other ambassadors like the Representative from Columbia who said with this Dossier, you have opened the door for urban complexes and urban conglomerations of Art Deco in Columbia or Cuba because it is so different from the rest of the nominations. So, I hope this will make cities look at heritage differently."